How to reduce food waste? Recycle it. 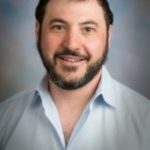 Matthew Wallenstein, professor in the department of soil and crop sciences at Colorado State University, determines how wasted food can help repair degraded soil. Dr. Wallenstein’s research focuses on the role of microbiomes in critical ecosystem processes. In ecosystems from the Arctic to arid grasslands, his lab has advanced our understanding of how microbes adapt to environmental change. Much of his current focus is on managing and engineering rhizosphere microbiomes to enhance sustainable agriculture. He is also interested in accelerating the translation of research to improve crop production through working across the supply chain. Thanks to amazing advances in agricultural technology, the average US farmer produces 12 x as much food per year as they did in 1950. But, up to 40% of the food we produce is never consumed. The rest is wasted, with most of it going to landfills. At the same time, the soil that our food production depends on has been eroded and degraded. It’s clear that we need to regenerate soil health in order to sustain a growing population. Soil organic matter-that dark spongy material- is the key to healthy soils that store water for plants and support microbes that cycle nutrients. In fact, we now know that dead microbial bodies- called necromass- are the primary component of soil organic matter. To regenerate our soils, we need to feed the microbes. What if, rather than sending food waste to landfills, we could send it back to the farm where it can be recycled into soil organic matter? That’s exactly what we do when we compost complex mixtures of food waste. Better yet, what if we diverted byproducts of food manufacturing and transformed them into technologically advanced soil amendments? During the production of the mozzarella cheese you might find on your pizza, vast quantities of the simple sugar, lactose are extracted. A special form of lactose, called lactobionate has some extraordinary properties. We found that it could turn soils into sponges, soaking up rain for plants to use later. Soil microbes also convert it into soil organic matter, thus improving soil health. Our aim is to close the loop on our food production systems by diverting waste and byproducts back to the farm to enhance agricultural sustainability.